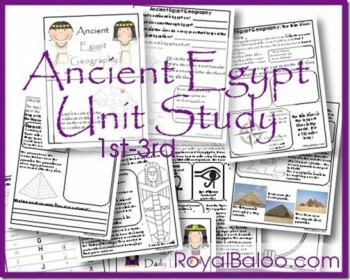 You can download a free Ancient Egypt unit study at Royal Baloo. This free unit study is suitable for grades 1-3. 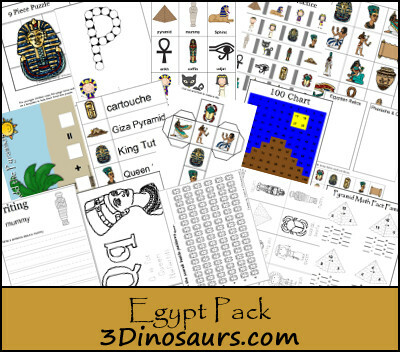 3Dinosaurs.com is offering a free Egypt Printable pack as well.